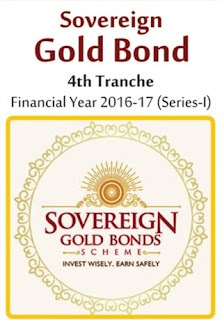 The Government of India, in consultation with the Reserve Bank of India (RBI), has decided to issue fourth tranche of Sovereign Gold Bonds. Applications for the bond will be accepted from July 18 to July 22, 2016. The Bonds will be issued on August 5, 2016. 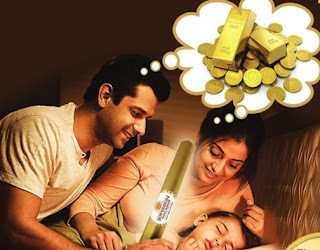 Price of Bond will be fixed in Indian Rupees on the basis of simple average of closing price of gold of 999 purity published by the India Bullion and Jewellers Association Limited for the week (Monday to Friday) preceding the subscription period. Government of India Stock under GS Act, 2006. The investors will be issued a Holding Certificate. 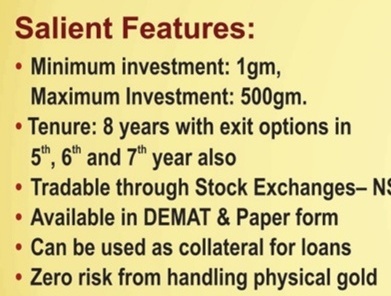 The Bonds are eligible for conversion into demat form. 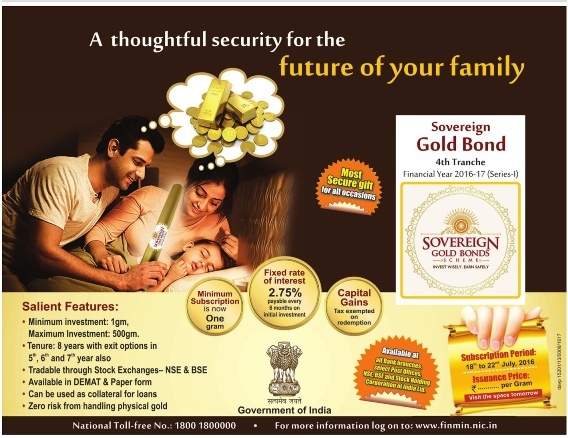 Bonds will be tradable on stock exchanges/NDS-OM from a date to be notified by RBI.